One of the perennial challenges of urban living is the lack of space. Biking in cities is great, for instance—but only if you have a spot to store your bike. Some furniture designers in Chile are offering a creative (and attractive) solution. 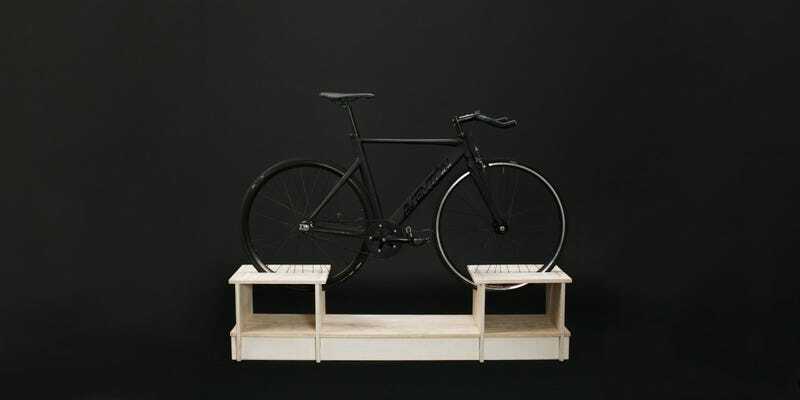 The latest collection from Santiago-based Chol1 is a line of sneaky pieces with special slots for storing your bike. In some cases, the furniture makes it look like your hog is floating in mid-air while others tuck your two-wheeled transportation subtly behind couch cushions. The 2016 line of bike-friendly furniture goes on pre-sale October 28.